Have a question about the Trident Embroidered Scuba Diver Blue Denim Hat? 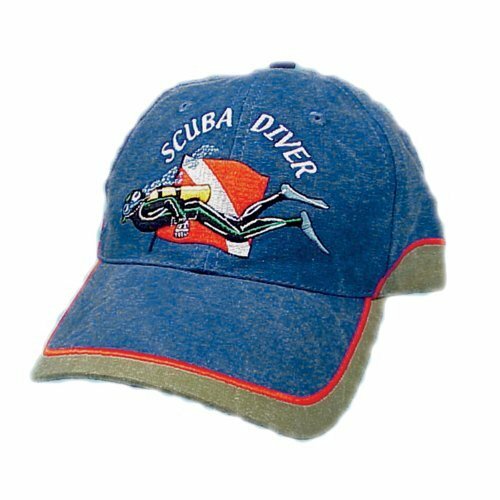 Tell the world you are a Scuba Diver with this stylish ball cap. Features a diver superimposed over a dive flag, with the words 'Scuba Diver' above. Blue denim, with tan trim around bill and bottom of cap. Nice hat, seems sturdy and able to withstand abuse. Graphics and embroidery are good quality. Will have to see if it holds up.